Australia’s largest tomato processor, the Echuca-based Cedenco Australia, has been sold to a Japanese food manufacturer after nearly eight months in receivership. The company maintained normal production during the receivership and the sale will result in creditors being paid in full, said KordaMentha partner Craig Shepard. Mr Shepard said the Receivers and Managers have entered a conditional agreement with a subsidiary of Kagome Co., Ltd for the sale of all of the assets of Cedenco Australia and related trading entities. “This will place Cedenco Australia in the hands of a major global industry participant which has been operating in the tomato business for more than 100 years. Kagome is the largest primary producer of tomato based ingredients in Japan.”, Mr Shepard said. Mr Shepard said Kagome was selected as the preferred bidder in a competitive sale process conducted by Goldman Sachs JBWere. The sale will take about a month to complete, with business agreements and leases to be transferred. Mr Shepard said Cedenco Australia processes up to 3,000 tonnes of tomatoes a day and employs nearly 200 people during the peak processing season. 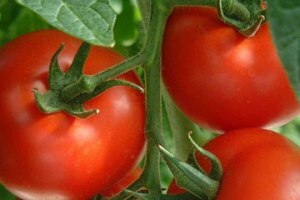 Cedenco Australia produced approximately 200,000 tonnes of tomatoes this season. Cedenco Australia’s main products are tomato paste, diced and peeled tomatoes for the domestic and international markets. The business has continued trading normally since KordaMentha was appointed Receivers and Managers on 9 November 2009. Wow this is tough. It is sad that they have been sold off shore but I suppose its an incredibly good thing that the business continues. We really do need a bit of a reality check in this country. We need to get focussed on sustaining ourselves through food security.